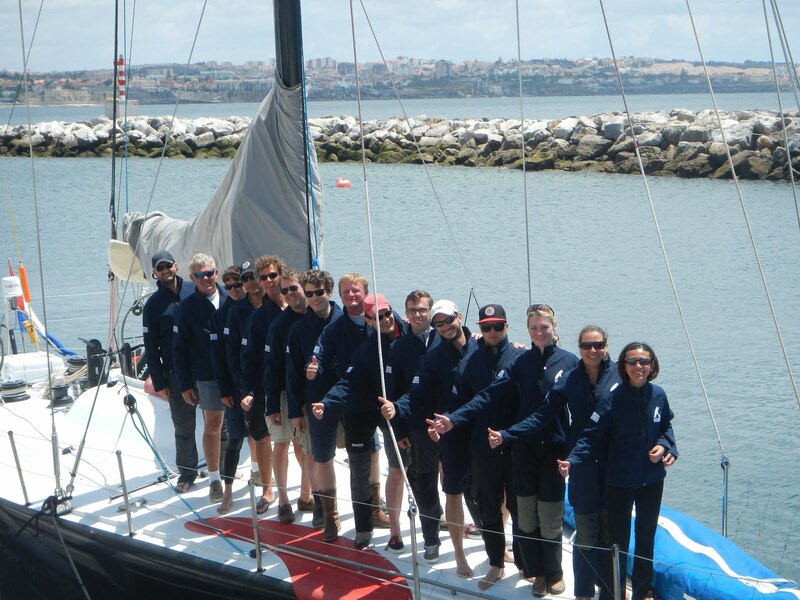 Leave a comment MBA Fastnet Challenge 2013 a Success! The team are all very busy with their final preparations before the Fastnet. 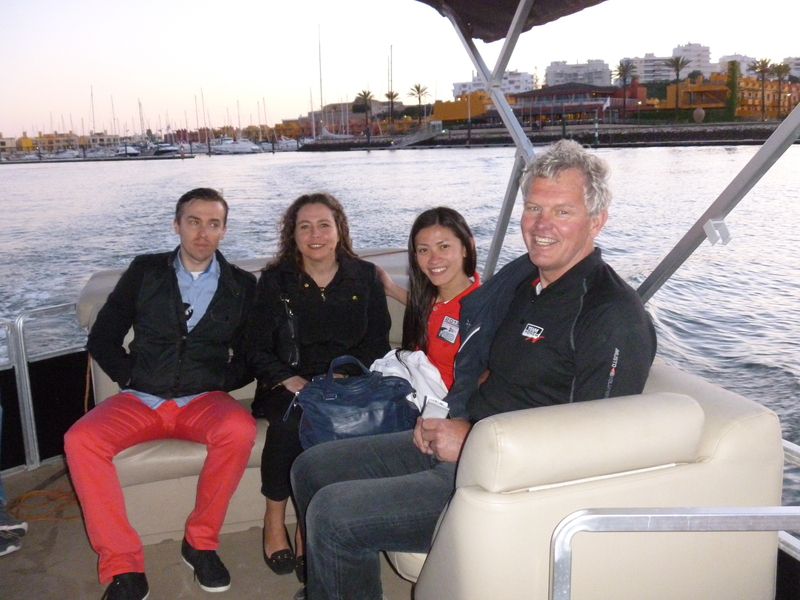 Preparing the boat, ourselves – and our work lives! We will be completely out of reach for maximum one week which is for many something unusual, and requires some special communications to the home front to keep loved ones up to date on what is going on. Larger preparations for the race – looking at the course, the weather, the current, tracking, sponsorship stickers, charity details … the list goes on. Some smaller preparation items are also ongoing – filming of our Fastnet race, cameras, hotels before and after the race – when will we finish, so when to book? Luckily Team Heiner will be able to take an extra bag for us to Plymouth where the race finishes so we will be able to have a change of clean clothes and a shower! For those wishing to track our progress, you can visit the Royal Ocean Racing Club (RORC) Fastnet tracking website, where the RORC have a tracking application showing the fleet, once the race starts. You’ll need to look for our boat, “Team Heiner One”. 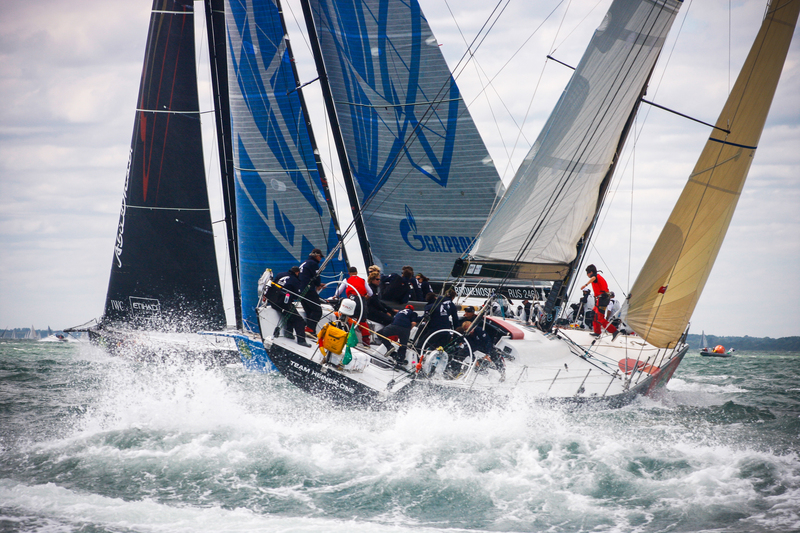 We’ll be starting at 1350hrs BST on Sunday the 11th of August, following the traditional Fastnet course, which is a 608 nautical mile non-stop race. 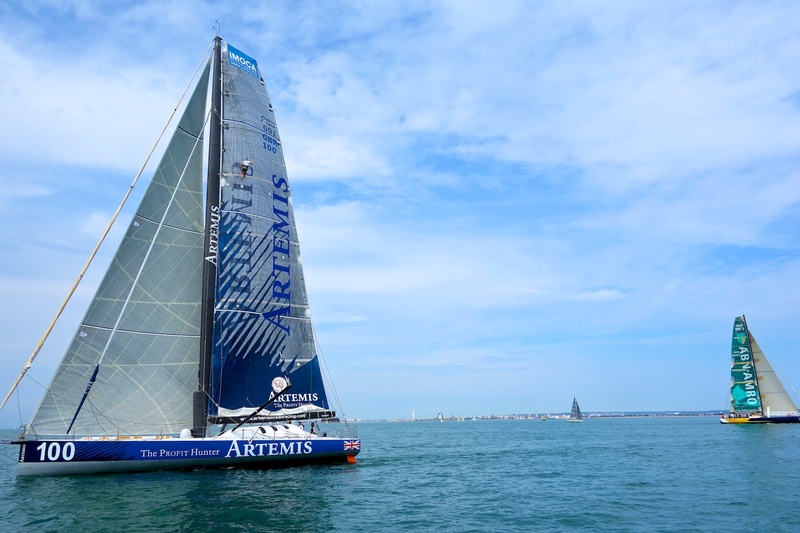 The race entails a gripping and punishing 608-nautical mile journey from Cowes, Isle of Wight to Plymouth via the Fastnet Rock, off the southern tip of Ireland. Beginning at the Royal Yacht Squadron in Cowes, the Isle of Wight, the race passes noted landmarks in the English Channel including The Needles, Portland Bill, Start Point, The Lizard and Land’s End, ahead of the open water passage across the Celtic Sea. The legs across the Celtic Sea to and from the Fastnet Rock are long and unpredictable. Openly exposed to fast moving Atlantic weather systems the fleet often encounters the toughest weather of the race on its approach to and return from Ireland. The symbolic turn around the Fastnet Rock off the southern coast of Ireland; a rounding that heralds the race’s emblematic halfway juncture. 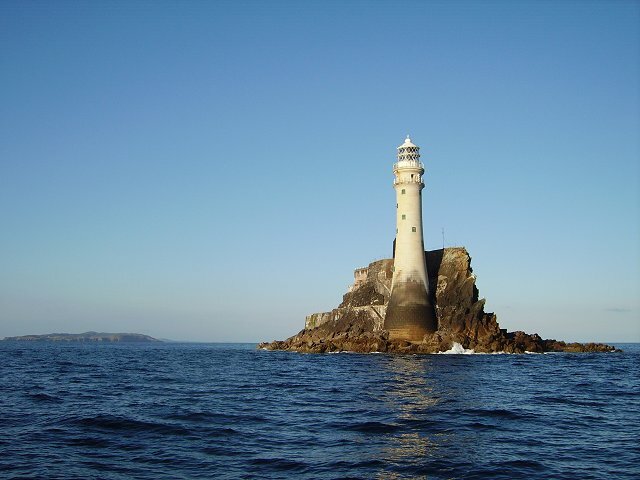 The Fastnet Rock has significant standing in the minds of competitors, and is viewed as the halfway mark, even though the actual distance remaining is less. The sense of achievement felt by crew must be tempered by a need to stay focused on the challenge ahead. The fleet then embark on the long return leg and the finish in Plymouth. We’re excited and a little nervous – but we’re sure looking forward to the race, the culmination of our campaign. Wish us fair winds and a successful race! The Team – Ready to Go! Author’s note: Route description is from the RORC official history of the Fastnet race guide. Leave a comment 3rd Place in class in the RORC Channel Race! With the last training weekend and the delivery completed the MBA Fastnet Team is now looking forward to their first race which will be the Channel Race at the end of July. 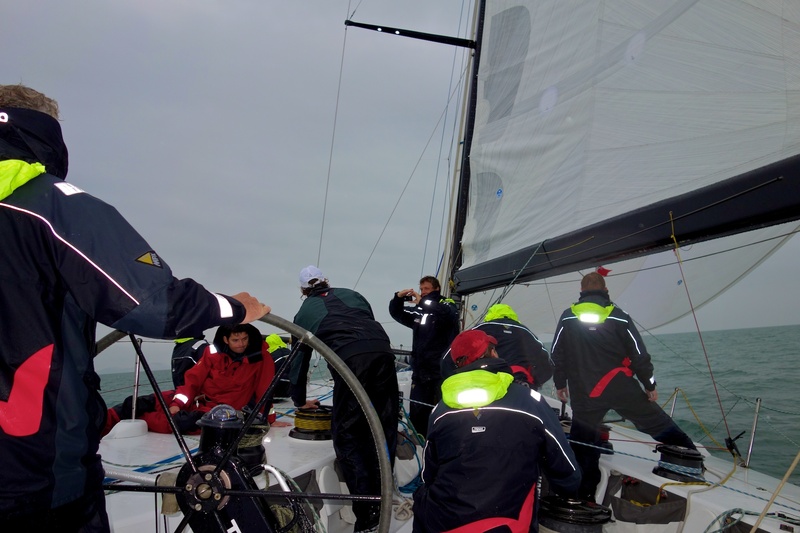 The last training weekend was very intense for the MBA Fastnet team. It started with match racing against each other on two J109s though the IJsselmeer and the Waddenzee. The races covered typical conditions of offshore sailing, demanding skill, courage, and endurance. After 22 hours of non-stop match racing through a day and a rainy night with little or no sleep, the first part of the training ended in Hoorn. From there the train took the team to Vlissingen, where the Volvo 60 was waiting for another night sail on the North Sea to Den Helder. In nice reaching / downwind conditions the team went through drills of spinnaker hoists, gybes and drops all through the night. The delivery of the Volvo60 turned out to be quite the opposite: a lot of time on land to relax and only 48 hours on the water – at least for most of the team. Two strong low pressure system forced the team to wait in the harbour for days. Unfortunately, the main was damaged after tacking against strong winds along the Portuguese coast. From here on it was motor sailing with jib and trysail to Porto. Given the continued bad weather forecast most of the team had to fly back home from Porto as there was no chance to get the boat to the UK on time to be back at work on Monday. Even though everyone knows that sailing depends on the wind the MBA Fastnet team didn’t quite expect 9 days not to be enough to bring the Volvo60 from South Portugal to the UK. Team Heiner and three of the MBA crew continued to fight strong winds all the way up to the Netherlands. 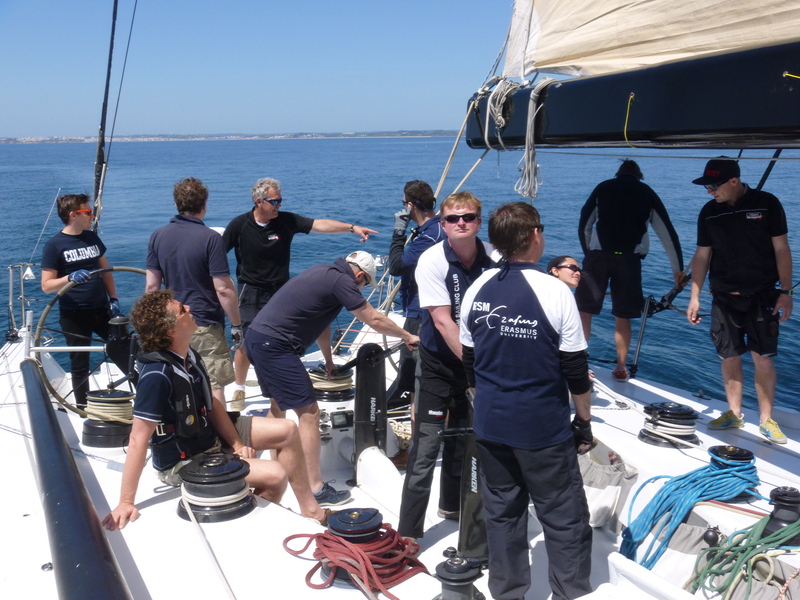 For more details and pictures see also on our MBA Fastnet Challenge Facebook page! Leave a comment Training and Delivery Completed! 1 Comment First training on the Volvo 60 this weekend! Kellogg-WHU, the executive MBA global network with campuses in Chicago, Duesseldorf, Hong Kong, Miami, Tel Aviv and Toronto as well as a ZOA (Sail for Water) Business Ambassador have come on board as the first two sponsors for the MBA Fastnet Challenge 2013! 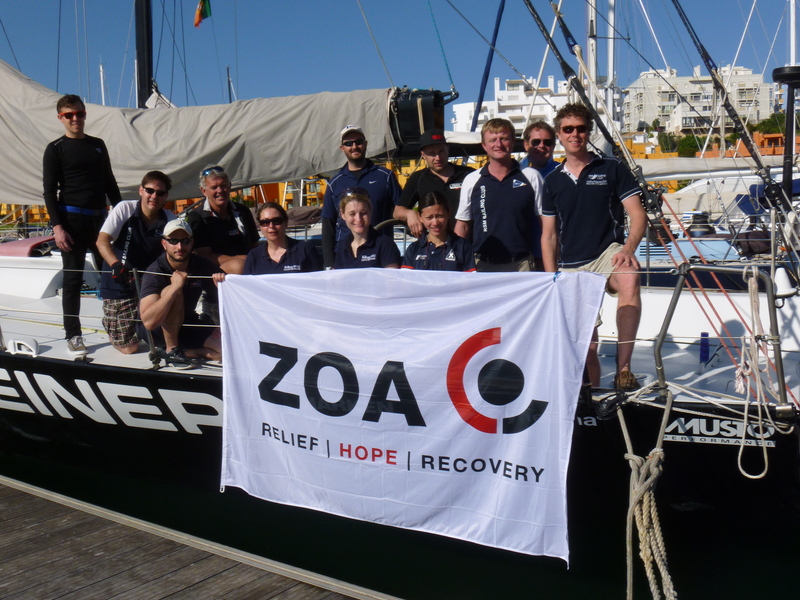 Support from the ZOA Business Ambassador is generously split between the Sail for Water charity, and the MBA Fastnet Challenge 2013 campaign. 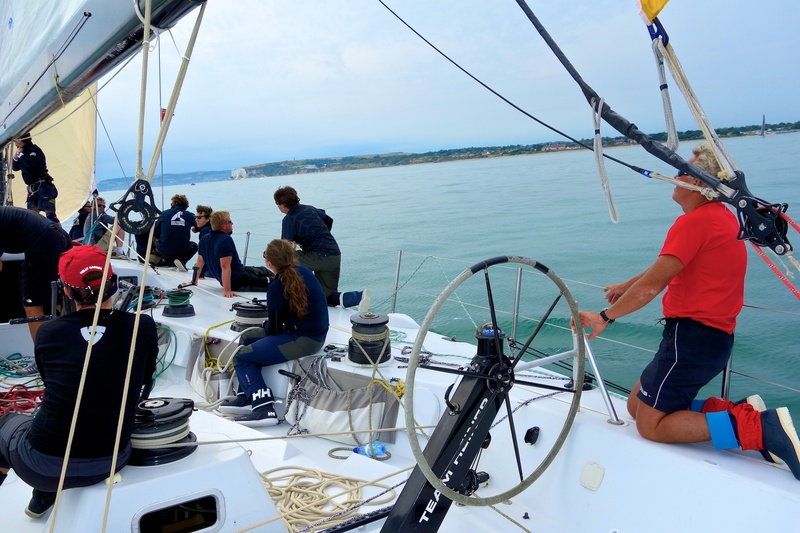 While each team member fully finances their own participation, without the additional financial support of Kellogg-WHU and the ZOA Business Ambassador the campaign lead by Team Heiner on the Volvo 60 would have not be possible! 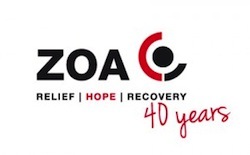 Huge thanks to Kellogg-WHU and the ZOA (Sail for Water) Business Ambassador! 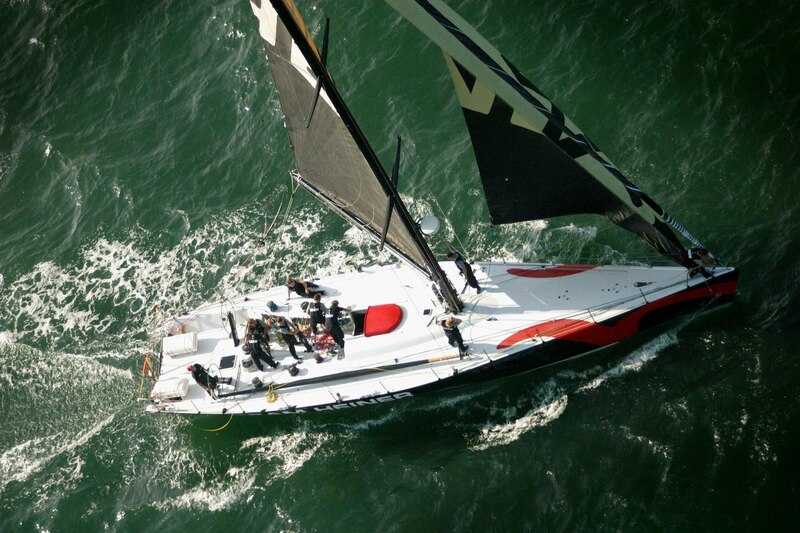 Leave a comment First Two Sponsors Come On Board for MBA Fastnet Challenge 2013!